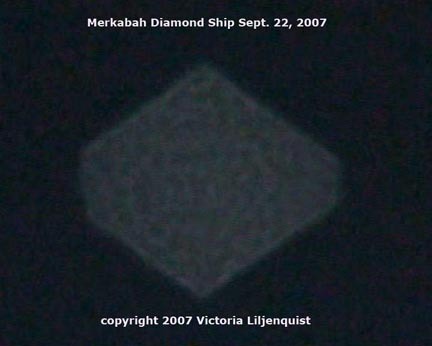 Merkabah Diamond Ships - Extracted from Live Video Encounters experienced and filmed by Victoria Liljenquist . 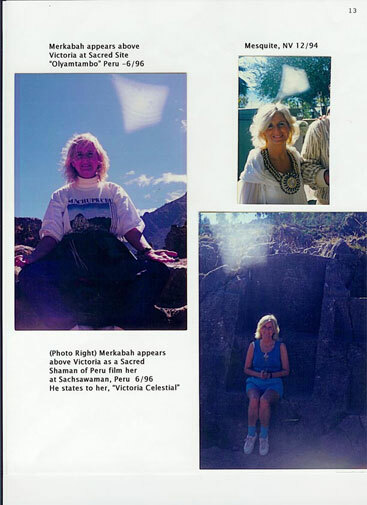 The photos you see, are Merkabah vehicles, which are now appearing consistently on video film taken in Colorado using a High Definition Sony 60G video camera. 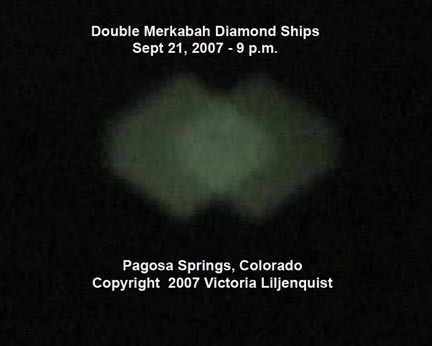 As you can see there is a cellular energy and the diamond shape of this Light Ship is very distinct. On live footage, this vehicle actually is pulsating and changing colors with purple and green textures. The Merkabah is explained in Dr. J.J. Hurtak's Book of Knowledge: THE KEYS OF ENOCH. See Key 118 pg 170 to compare this image to the images indicated on PLATE 8: The Opening of The Kolab into The House of Many Mansions. On the opposite side of the page in the book, in Verse 118:13, it indicates: "at the culmination of the Father's plan for Israel , a new Program Victory will signal the gathering of the spiritual tribes of Israel ." We are in this program now of Victory and these Merkabah Diamond Ships are showing us the way as we transform and raise our vibration and consciousness, to unite with our benevolent families from the stars. 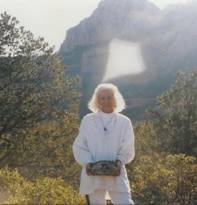 As this Earth merges with a 2nd Earth, it will be possible to join with our galactic societies to build a foundation of knowledge of Divine Light and a higher law of living. Victoria Liljenquist 's head in seven photographs over a 2 years (1994 - 1996).